Choose a specific date or a range of dates by selecting a start date and selecting an end date. 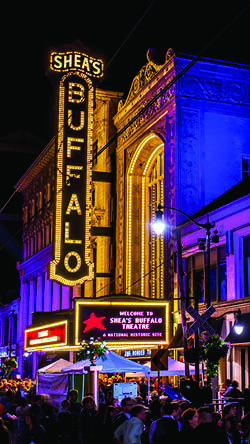 Join us for an elegant black tie evening beginning at Shea’s Buffalo Theatre with cocktails, hors d’oeuvres and a silent auction followed by a gourmet dinner on Shea’s Grand Stage with a a private performance featuring Tony Award-Winner Laura Benanti. The coolest ever rock-n-roll romp in a bug's world based on the books Diary of a Worm, Diary of a Spider, and Diary of a Fly, written by Doreen Cronin, New York Times bestselling author. This all-new theatrical stage show is based on the hit animated television series Wild Kratts. Martin and Chris Kratt, stars of the Emmy-nominated Wild Kratts, step out live onstage to engage the audience in a classic Wild Kratts story. Winner of 6 Tony Awards including Best Musical and the 2018 Grammy Award for Best Musical Theatre Album, DEAR EVAN HANSEN is the deeply personal and profoundly contemporary musical about life and the way we live it. A new hip hop musical production based on the Magic Tree House adventure Stage Fright on a Summer Night by The New York Times bestselling author Mary Pope Osborne. Broadway’s Best Party is turning up the volume to ten! The ROCK OF AGES Tenth Anniversary Tour is blazing across North America! Nominated for five Tony Awards®, including Best Musical, ROCK OF AGES captures the iconic era that was the big bad 1980s Hollywood. A two-time Grammy-winner, John Prine is nominated for three GRAMMY Awards including Best Americana Album for The Tree of Forgiveness and Best American Roots Song for “Summer’s End. Created and written by Mary Kate O’Connell. Curtain Up! 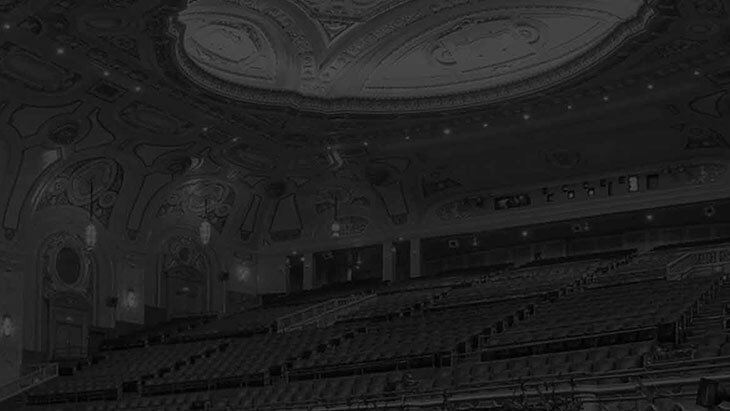 2019 - one night only at the Shea’s Smith Theatre, celebrate the Legends of the Broadway Musicals that have made a great impact on Western New York. Featuring a book by Tina Fey, MEAN GIRLS tells the story of a naïve newbie who falls prey to a trio of lionized frenemies. Entertainment Weekly calls it “A MARVEL: dazzling and hilarious!” and USA Today says "We'll let you in on a little secret because we're such good friends: GET YOUR TICKETS NOW!" In a historic neighborhood of Chicago, Arthur Przybyszewski owns a run-down donut shop that has been in his Polish family for six decades. His sole employee, Franco Wicks, a young African-American teenager, wants to change the shop for the better. Broadway’s COME FROM AWAY is a Best Musical winner all across North America! This New York Times Critics’ Pick takes you into the heart of the remarkable true story of 7,000 stranded passengers and the small town in Newfoundland that welcomed them. Based on the 1984 cult classic film, this rock musical is a true underdog story set in the world's most toxic waste dump...New Jersey. Dust off your roller skates, glitter, and legwarmers and get ready for the laugh-out-loud musical adaption of the 1980 film, Xanadu. This hilarious roller disco adventure follows Clio, the beautiful Greek muse, and Sonny Malone, the half-witted chalk artist with a heart of gold. Little Big Man, a disc jockey from Patsy Cline’s hometown of Winchester, VA., traces the late singer’s footsteps from early honky-tonk and radio days through her rise at the Grand Ole Opry plus her appearances at Carnegie Hall and Las Vegas. Written by beloved Buffalo playwright Tom Dudzick, Christmas Over the Tavern is a comedic musical that follows the Pazinskis, a lower-middle class family living over a saloon in 1959, who are not having their usual merry Christmas. This hilarious show begins when the Little Sisters of Hoboken discover their cook, Sister Julia, Child of God, has accidentally poisoned 52 of the sisters and they are in dire need of funds for their burial. The sisters decide that the best way to raise the money is to put on a variety show. With music and lyrics by Emmy, Grammy, Oscar and Tony winners Andrew Lloyd Webber and Tim Rice, JESUS CHRIST SUPERSTAR is set against the backdrop of an extraordinary series of events during the final weeks in the life of Jesus Christ as seen through the eyes of Judas. Aloha! It’s Hawaiian nite at the BINGO Palace and Betsy Carmichael the Big BINGO Kahuna is pulling out all the stops as she hosts another unforgettable night of BINGO. Grab your lucky trolls and grass skirts and brush up on your limbo. All winners will get leid! Maholo. HELLO, DOLLY! – the universally acclaimed smash that NPR calls “the best show of the year!” Winner of four Tony Awards including Best Musical Revival. The winner of the Pulitzer Prize for Drama, THREE TALL WOMEN follows the lives and memories of three women who have more in common than we think. A witty and frank look at who we were, who we are, and who we become. 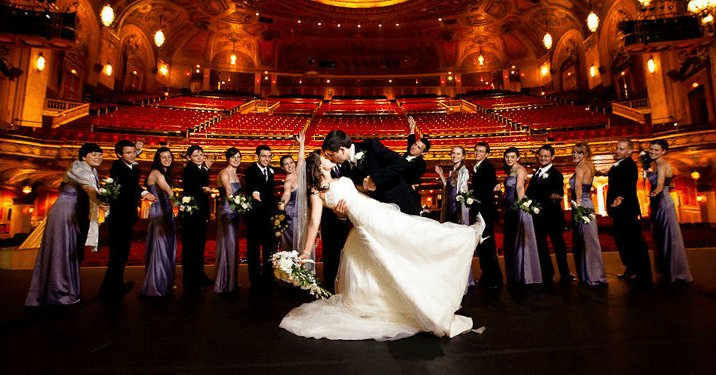 WINNER OF 10 TONY AWARDS® INCLUDING BEST MUSICAL. In an Israeli desert town where every day feels the same, something different is suddenly in the air when a band of Egyptian musicians shows up lost at her café. Inspired by the beloved films, the romantic and adventure-filled new musical ANASTASIA is on a journey to Buffalo at last! From the twilight of the Russian Empire to the euphoria of Paris in the 1920s, as a brave young woman sets out to discover the mystery of her past. 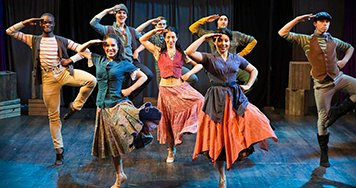 Bright Star, featuring the Grammy-nominated score by Steve Martin and Edie Brickell, follows the life of literary editor Alice Murphy in the 1920s and 1940s in the American South. Alice meets a young soldier returning from World War II and their unique connection encourages her to confront her past. ESCAPE TO MARGARITAVILLE is the musical comedy featuring both original songs and your most-loved Jimmy Buffett classics, including “Fins,” “Volcano,” “Cheeseburger in Paradise” and many more. In 1930's Berlin, the Nazi party is gaining strength, but in the Kit Kat Club, everything is beautiful... but for how long? No performances match your filter. By becoming a Shea’s Season Subscriber, you not only ensure your tickets to the hottest Broadway ticket in town, but you receive many benefits; including but not limited to early access to additional seats, firsthand knowledge of upcoming shows, and more. Become a Season Subscriber today and be part of our legacy. Give the gift of Shea’s! Gift Certificates may be purchased in any denomination at the Shea’s Box Office in person or by calling (716) 847-0850. 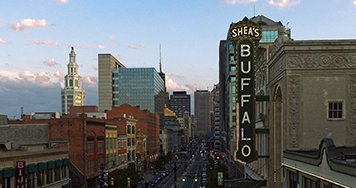 You can use our gift certificates to purchase tickets to events at Shea’s Buffalo Theatre, Shea’s Smith Theatre, Shea's 710 Theatre, Shea's Bistro and Bar, and during performances at Shea’s bars and concession counters. 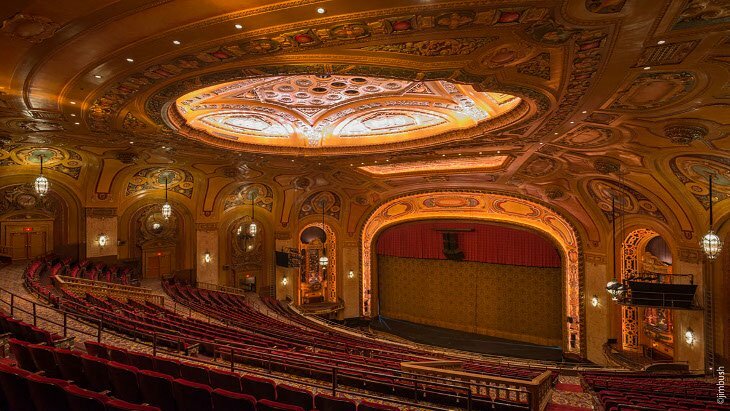 By becoming a donor of Shea's Performing Arts Center, you enable us to continue our mission of restoration, educational outreach, and operations in order to provide our community with live performing arts experiences and innovative and effective educational experiences fostering an appreciation of live theatre by area youth.